Imagine our surprise and delight when Colin Cowie sent this video over to us. A long time customer, Mr. Cowie loves ShopWildThings because when he or any of his producers place orders with us, we do exactly what we say we are going to do. We do it on time. We do it on budget. We know that anyone placing an order with ShopWildThings expects and deserves to get the very best service and quality. You don't have to be a celebrity to get our very best. Mr. Cowie purchases items from ShopWildThings.com for weddings, parties and major events both private and commercial. See what Colin Cowie, Celebrity Event Planner and Designer, Author, Lifestyle Expert and Ambassador of Style has to say about www.ShopWildThings.com by watching the short video below! We thought it was super sweet for Mr. Cowie to shoot this for us to show us what he'd done with a purchase of our Ballchain Beaded Curtains. CLICK HERE to see our Beaded Curtains that were used in this video. 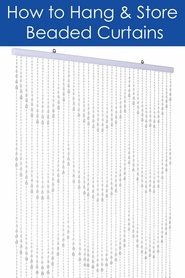 Beaded Curtains are available in Acrylic OR Metal. 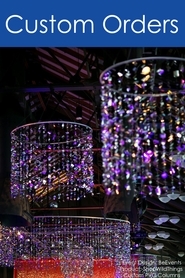 They are wonderful for use in homes as shown, and also for Weddings and Events. You can create gazebos, backdrops and more...Available in sizes from 6' Long to 20' long IN STOCK and ready to ship!